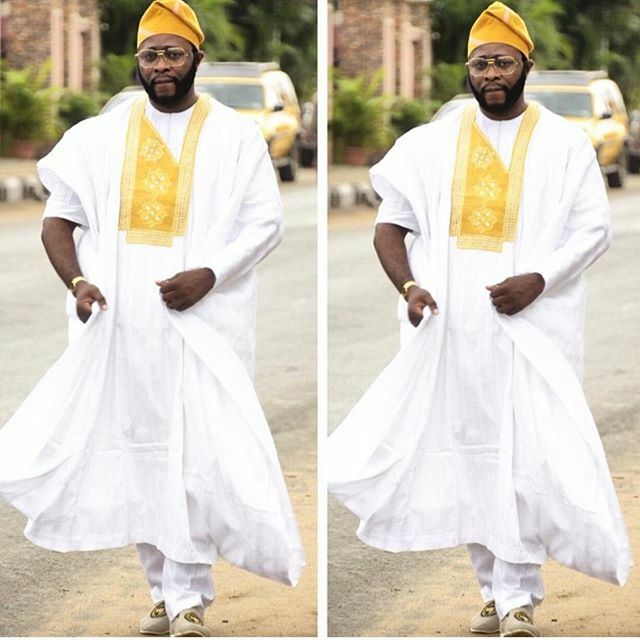 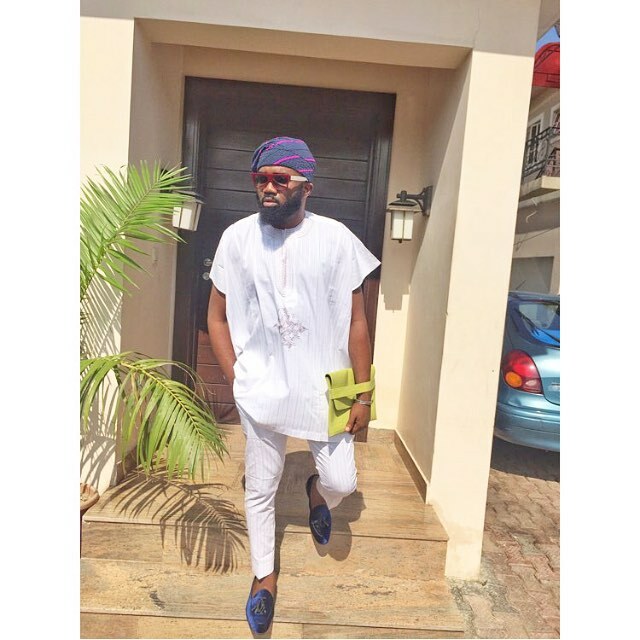 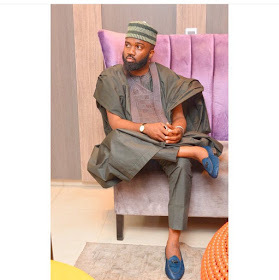 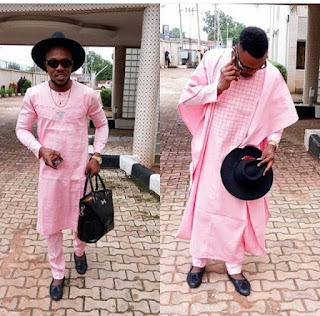 How To Rock Agbada - Men! Yea right! 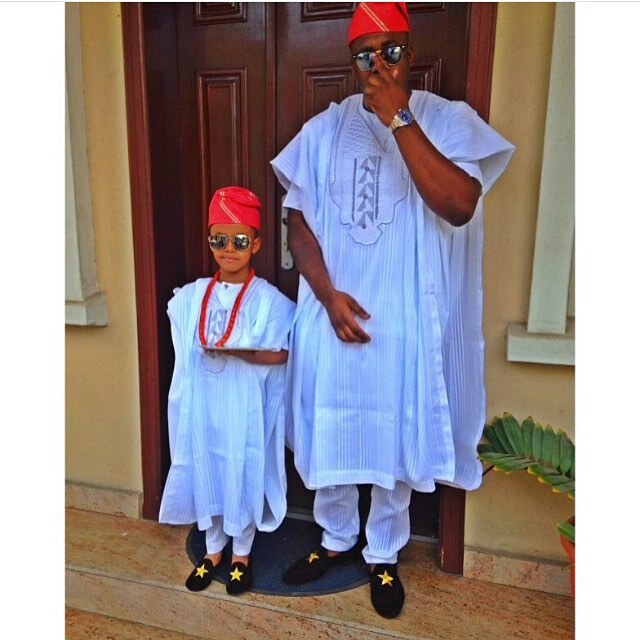 Kids too rock agbada, don't be too surprised. His cap is so emotional, awww little cutie. Father and son rocks, see competition! 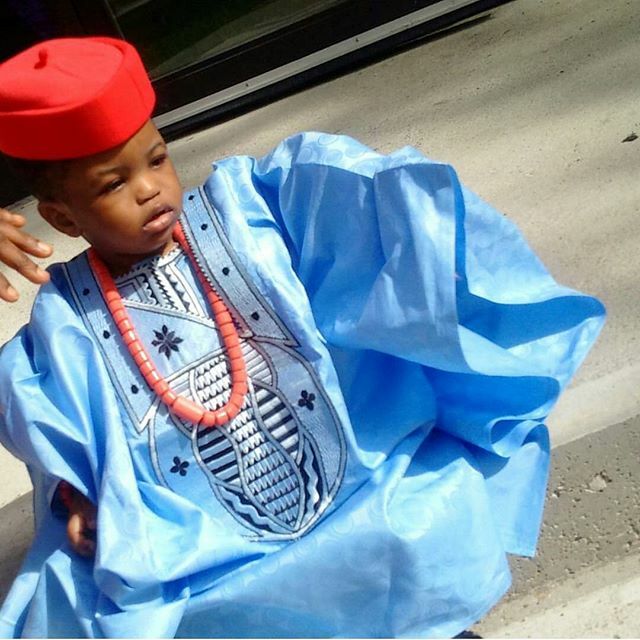 Oga your son fine pass you, no vex. 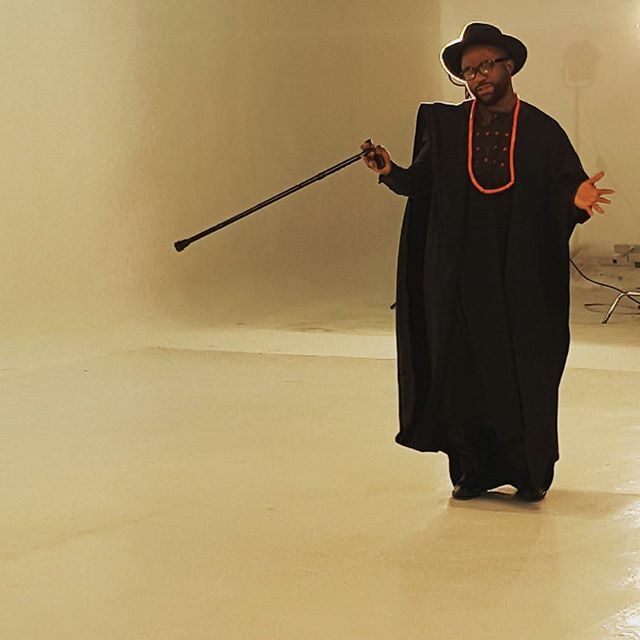 Now I'm not too sure about this. 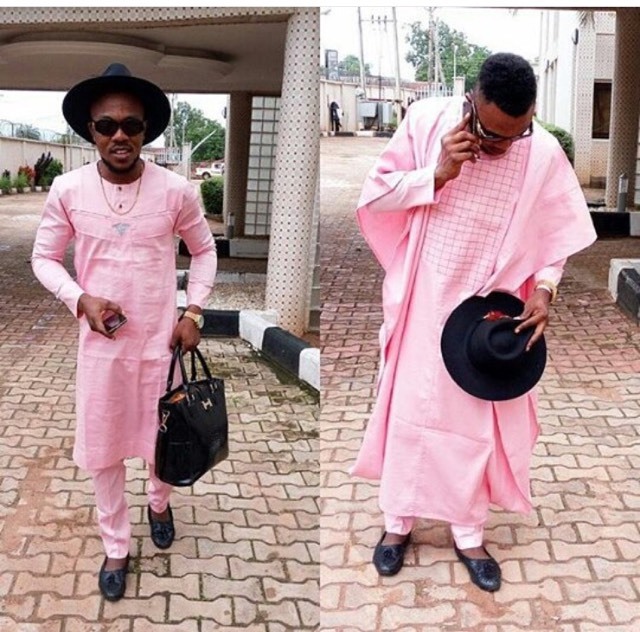 Men rocking pink agbada? Wowstic, fashionable though and guy your handbag, I think I have to take it from you.